Suddcorp Solutions: Expand your Reach on Social Media: Try Some Hashtag Hijinks! Expand your Reach on Social Media: Try Some Hashtag Hijinks! A great way to expand your audience on social media is through the use of "Hashtags". First popularized by the social network Twitter, hashtags are used to index a message to a certain subject. These hashtagged subjects are usually a topic (e.g. restaurants, networking, etc. ), city (e.g. Ottawa, Toronto, Montreal, etc.) or a way to follow an event (e.g. eSAX, etc.). 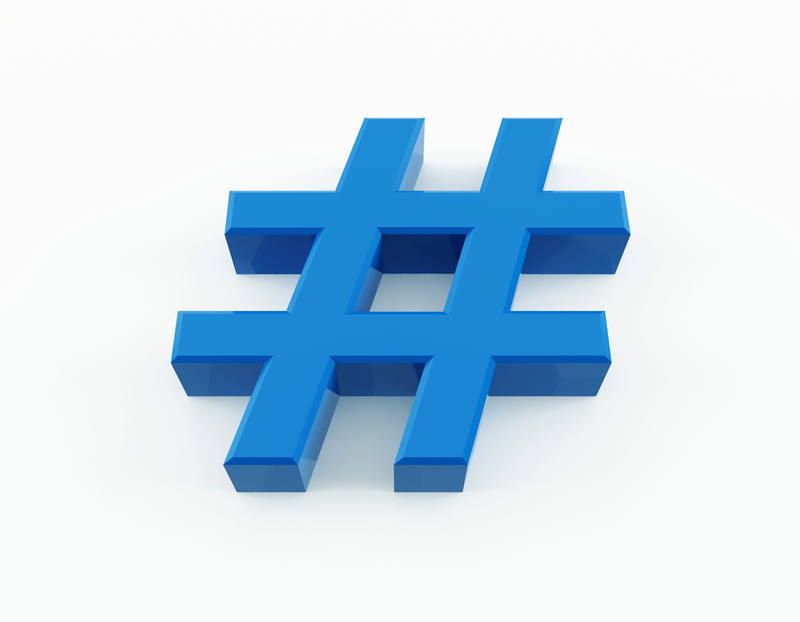 Hashtags generally are a word or phrase preceded by a “#”. Example: #examplehashtag. The most developed platform, and pioneer in hashtaggery, is Twitter. However, Facebook and Google+ have now started integrating hashtags into their platforms so feel free to use them there as well. For that reason, in our examples we'll be using Twitter, but these hashtagging methods do have carryover to other social media platforms especially as they become more popular. So what are different ways hashtags can be used? Hashtags are great for those interested in a certain topic. For example, many startup and regular businesses the idea of business networking is quite popular to learn about. On Twitter the hashtag #networking categorizes in one easy find stream all the tweets about business networking in them. A quick scroll through provides a variety of tweets with many linking to helpful articles on the subject. Many of these topics have a community of followers that perhaps will be interested in your company and become followers. So make sure to investigate the different hashtag topics or keywords that apply to your topic of conversation or business. Retweets are when another account shares your original tweet or message. Retweets are an excellent way to expand the audience for your message because someone thought it was worthwhile to share your message with their followers. There are ways to encourage retweeting by both thanking others for retweeting and crafting hashtags to take advantage of automated twitter accounts. Automated twitter accounts have been created to monitor certain hashtags like certain words or city names. Automated word Retweeters are often found by accident. One day you will hashtag a word and suddenly it gets retweeted. When this occurs make sure to record the hashtagged word that was retweeted so it can be integrated into future tweets. Make sure to leverage both word and city retweet accounts as each of these automated twitter accounts tend to be followed by thousands. Do this by integrating retweetable words and city names into your tweets whenever possible. #meatlessmonday - have a recipe that doesn't contain meat? Share it with your followers! #meowmonday - obviously a cat themed hashtag. #musicmonday - tell your followers what music your are listening too or what artist you are dreaming of seeing perhaps later in the week. #nopantstuesday - in celebration of recent "no pants subway rides", this hashtag celebrates the freedom some have to let their legs roam free. #tiptuesday - got an industry or life tip to share? Tell the world on Tuesdays your tips to live a tip top life. #transformationtuesday - have a positive change in your life health or otherwise? Post a photo and let others know. #wisdomwed - have a pearl of wisdom? Share it! #winewednesday - got a favourite glass of wine from the Okanagan, Niagara or French regions? Tell the world so they can share in your joy? #woofwednesday - If cat's can have their own day, why not dogs? #healthyhumpday - for those in the health & fitness field this a great time to share a tip of the week. #rtthursday - Thank your retweeters who shared your tweets this past week. #thankfulthursday - Why wait til Thanksgiving to tell everyone what you are thankful for? Thursday comes every week at least 52 times a year. Share your gratitude! #throwbackthursday (aka #tbt) - got an interesting photo from yesteryear? This is the time to share! #followfriday - the original Twitter daily hashtag where you thank your followers or encourage your followers to follow other interesting accounts. #foodiefriday - enjoyed a new restaurant? Had a great dish at home? Share your new found foodie sensation so others can enjoy! #frifotos - post photos of a declared theme each Friday. Full rules on frifotos are here. Be sure to check out the hashtag for each week early in the week to prepare for your Friday posting. #goodnewsfriday - end the work week on a high note by sharing some good news! #caturday - Cat + saturday = caturday. Because some believe cat's invented the internet and, thus, deserve 2 days of the week. #sinnersunday (also known as #sinday) - not going to church? Tell others of your non-church adventures. Hashtags are a great way to expand your audience. Try mixing and matching some of the above in your tweets and watch interaction with your brand grow! Need help with hashtags? Suddcorp Solutions can help your business integrate twitter hashtags and increase your twitter following.